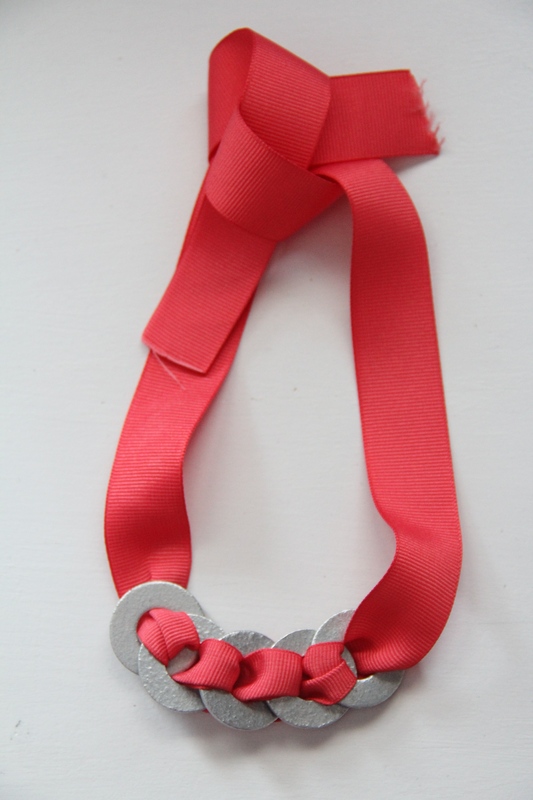 Some of you might remember the What I Wore post that included a fun bright pink necklace I had made. Well today I’m showing you the tutorial on how to make it! I was privileged to spend a crafting day with one of my best friends making these necklaces and thought- how great of a gift these would make. 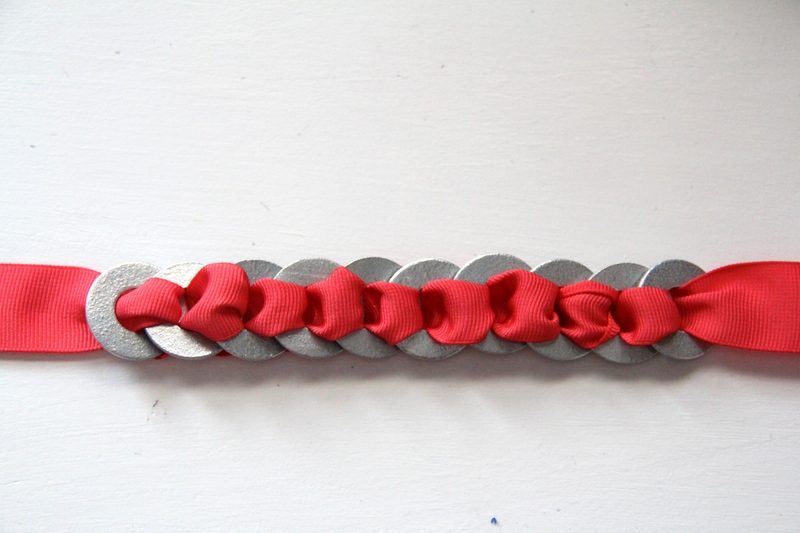 They are fun, cheap and easy to make so it’d be a perfect Christmas gift for my girlfriends. This would also make for a great craft to do with some older nieces as well or get some girlfriends together and produce while sipping a nice cup of hot cocoa. I found many different tutorials on Pinterest on how to make them, but here’s my explanation on how to make these beauties. 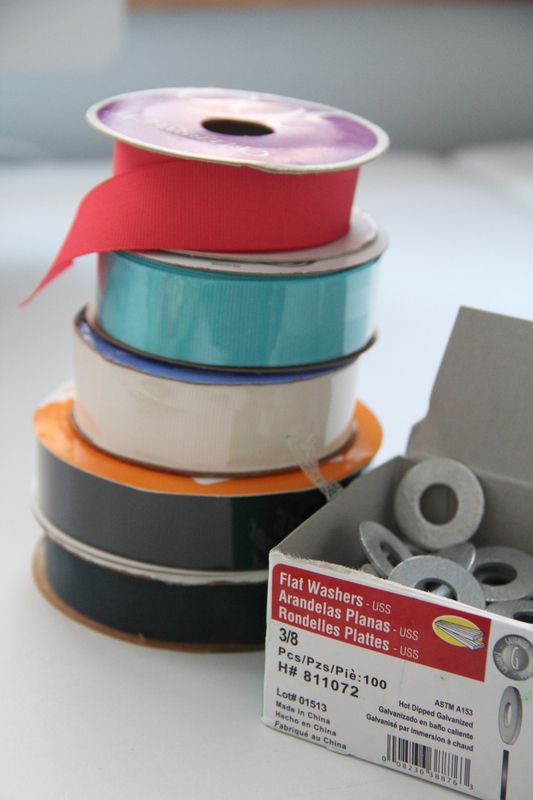 – 7/8 Inch Grosgrain Ribbon ( You can use thicker or thinner depending on your preference, but this is what I used for mine). -3/8 Inch Flat Washers. I found mine at Lowe’s for a whopping 4 cents a piece! *Length is up to you- I used roughly 1 yard per necklace, but this is also up to you for how long you want it to hang on your neck. 1. 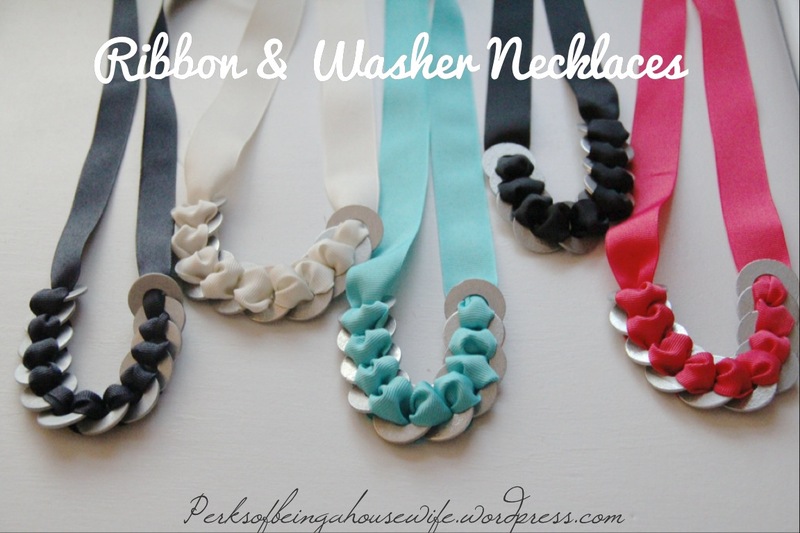 Thread your washer (a) onto your ribbon. 2. 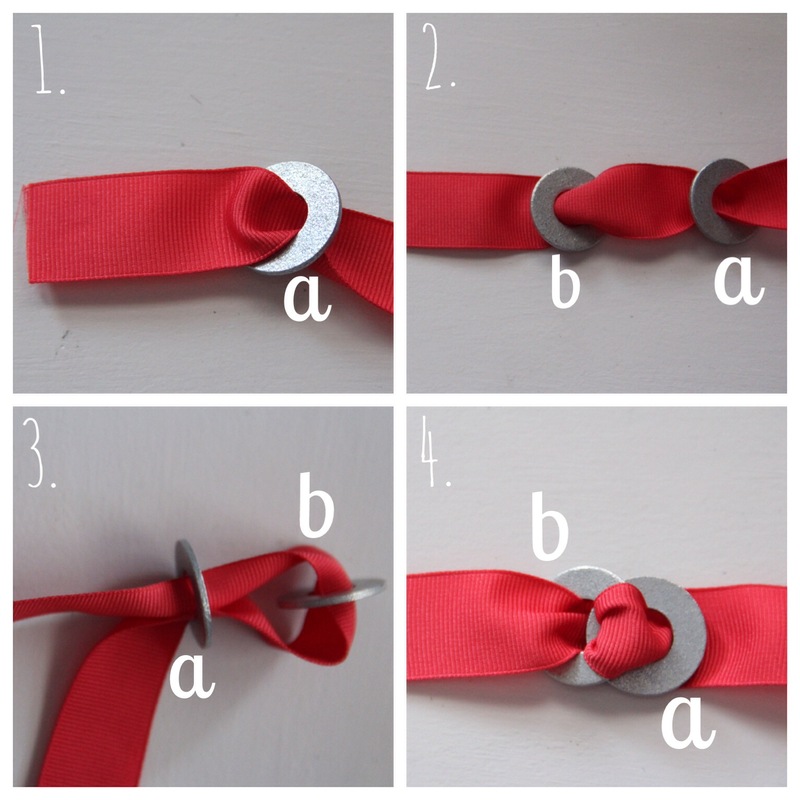 Thread a second washer (b) onto your ribbon. 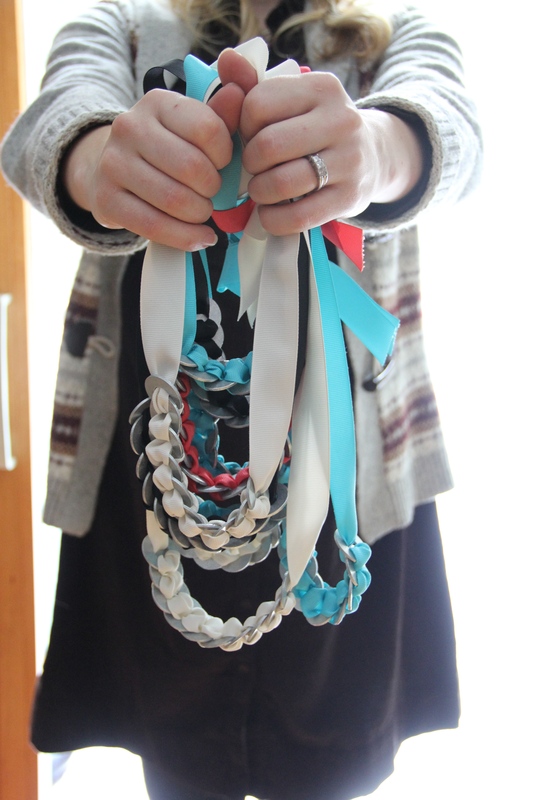 Make sure to leave enough room so it’s evenly spaced in the middle of the necklace when you’re finished. 3. Thread the ribbon back through the first washer (a) and pull until they are overlapping. 4. Now thread the ribbon up through the backside of the second washer (b). They should look like figure 4 and be laying flat on each other. Repeat until you have the desired amount of washers on your necklace. 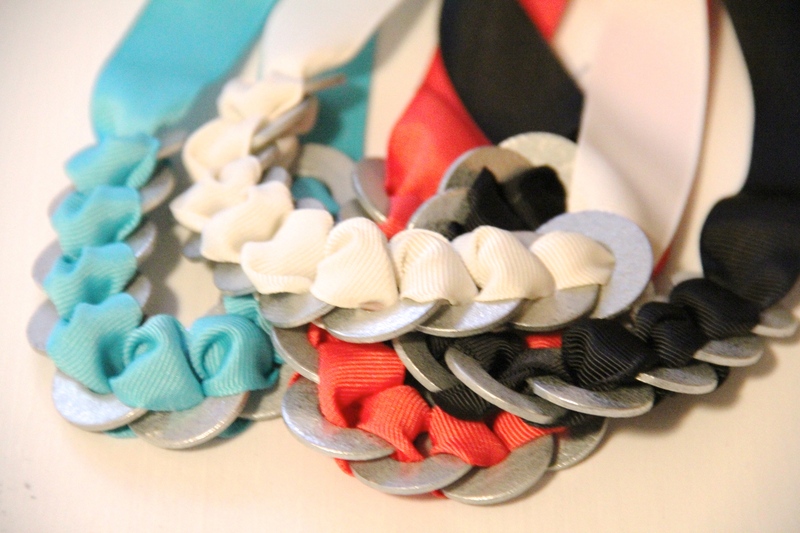 For the adult necklaces I’ve used anywhere from 10-15 washers per necklace. You can put as many or as few as you’d like. 10 seems to be the magic number for me because it’s not really heavy then. 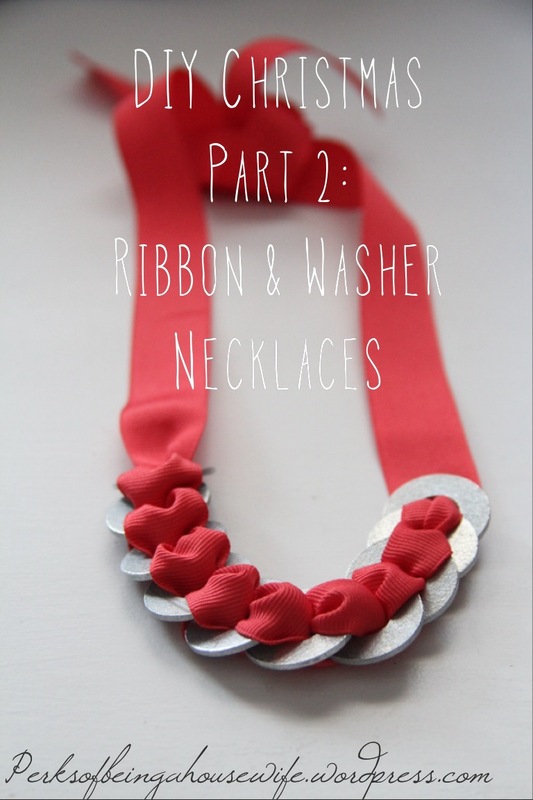 For my little nieces I used 5 washers per necklace. Isn’t it adorable? So there you have it. It goes very fast once you get the hang of it, so don’t get discouraged if you mess up or need to redo a few of them. Practice makes perfect. Here’s the rest of the ones I made for my Christmas gifts. Another DIY project complete! Let us know if you plan on making any of these for gifts this year. It’s a great accessory or pop of color for any wardrobe and the best part is it’s super easy on the budget too! Enjoy! 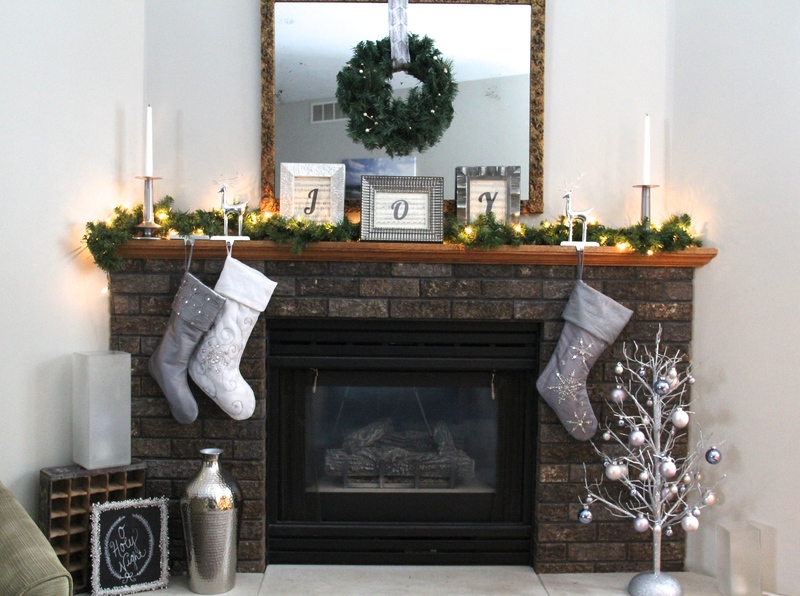 Another sneak peek at our DIY Christmas decor..our upstairs mantel this year. Music paper with printed letters on them are a great DIY decoration addition.